I've heard good reviews about a new pastry shop in Beirut called Emotions so I thought why not try their cakes. 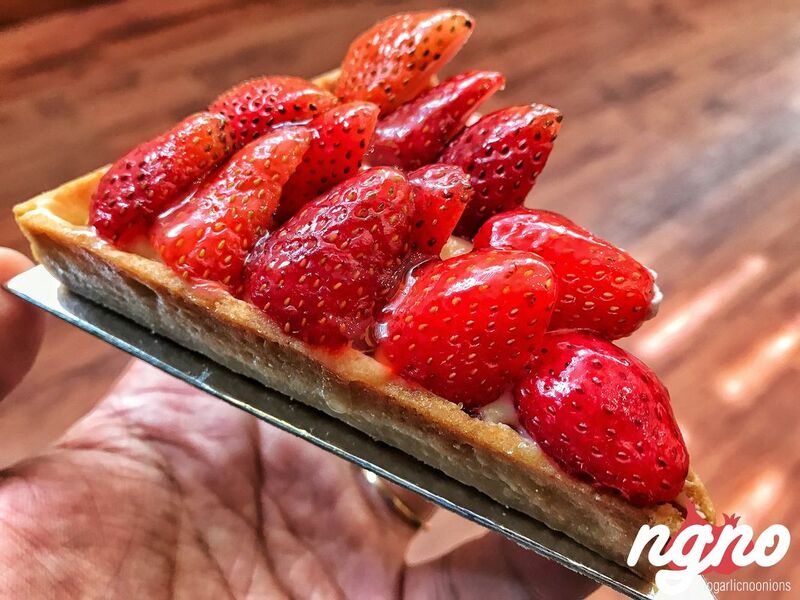 With dozens of new bakeries and patisseries opening around town every month, finding fine quality has become rare. I believe commercial quantity vs quality is taking over. Several old names have fallen to this commercial culture - focusing less on quality and flavor and more on volume. So I was happy to discover Emotions and their mouth watering cakes clearly created with love and passion. On this early Thursday I sent someone to get me a couple cakes and croissants only to learn that Emotions opens at 10am. Croissants, tarts and Mille Feuille, I was ready to satisfy my palatal buds. Is 10am logical for someone who sells croissants? 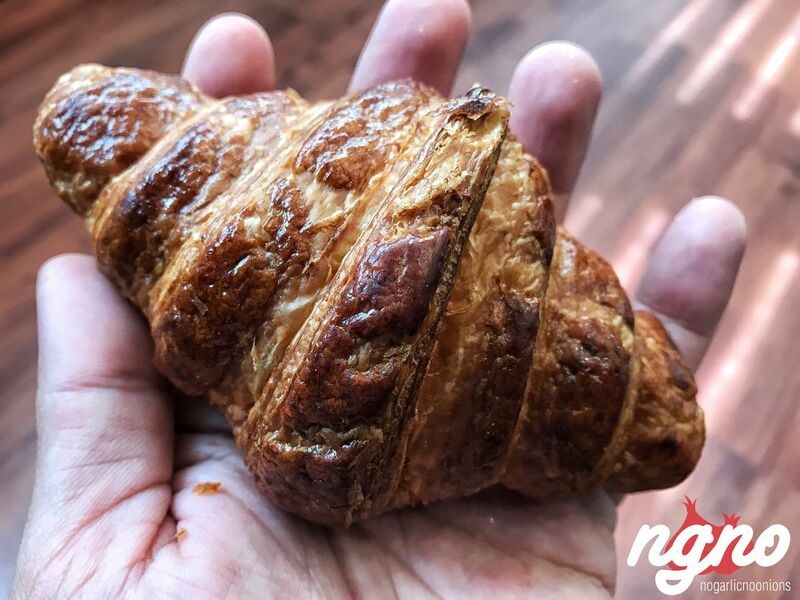 Croissant: light in weight, the croissant is not too flaky but offers a light crunch without spreading its crumbs all over the place. Not too many air bubbles inside, it has an empty heart where the cheese lies. Not gourmet and not commercial, the croissant is something in between and I like it. 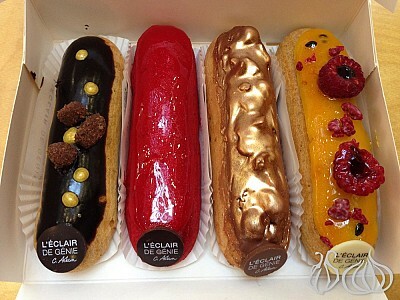 Eclair: covered with a thick ganache of dark chocolate, the éclair is a good one! 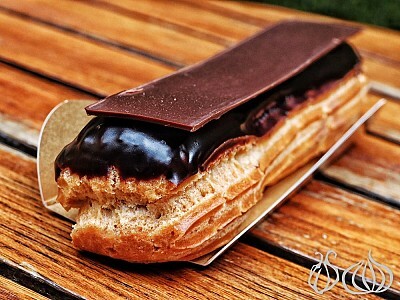 Dark chocolate with a light bitterness, on a soft eclair stuffed with a rich milky chocolate cream. I loved how the dough is neither brittle nor chewy, how the chocolate on top melts on the tongue, how the cream inside caresses your palate. A bit heavier than I expected with a prominent cocoa flavor but I like it. The tarts are triangular: strawberry on one, chocolate on the other and lemon cream on the third. 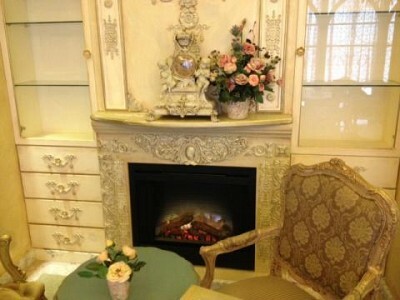 A frame made of a crunchy dough filled with pastry cream and decorated with the main ingredient. Very crunchy and fresh, the tart is enjoyable. The lemon tart is awesome! Creamy and light with a lemon flavor and a kick of lemon zest. Yummy! The chocolate one is my favorite. The chocolate tart is a real marvel. 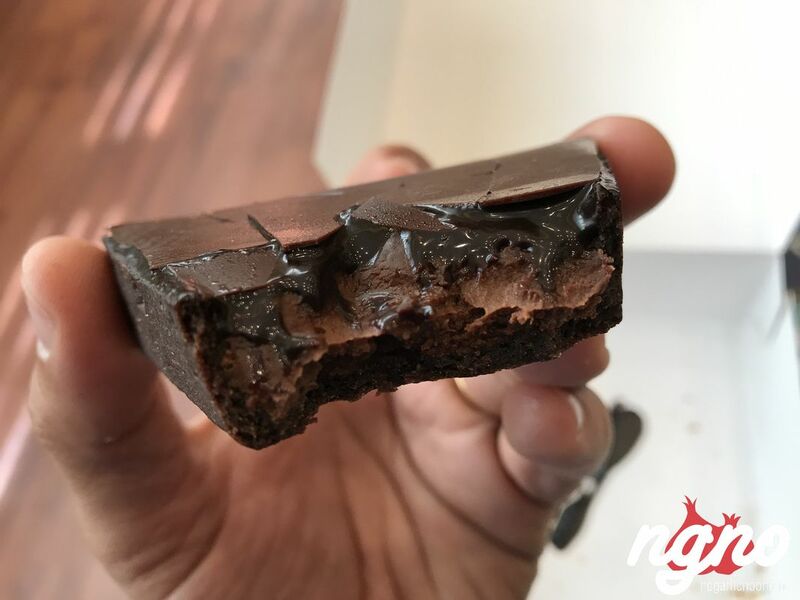 A crunchy dough, a creamy heart, a super crunchy dark chocolate sheet on top. That chocolate that's not sweet but rather intense, rich and beautifully balanced. Two thumbs up for this creation. 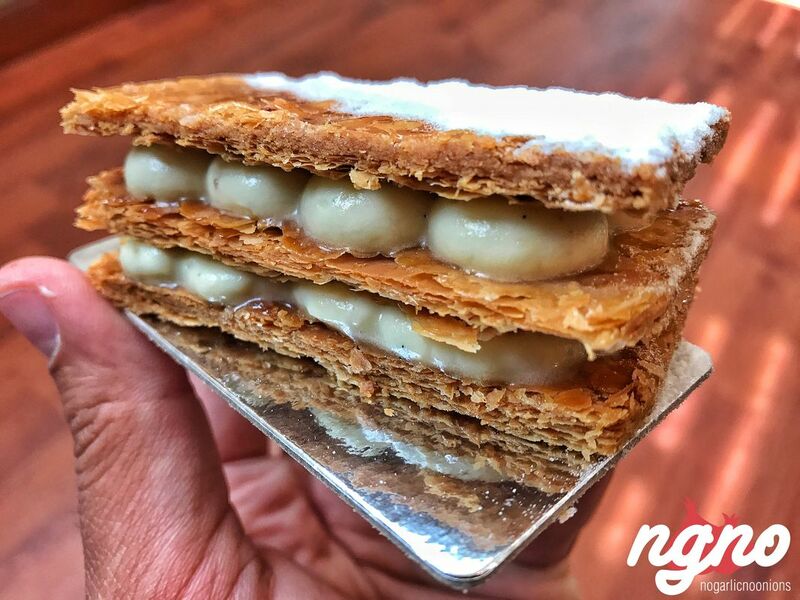 Mille feuille is as good as all the rest. Three sheets of puff pastry separating two layers of cream. Real vanilla, real cream and again, the most important part is that no sugar is felt. A balanced mix of ingredients creating mouth watering cakes clearly produced with passion. 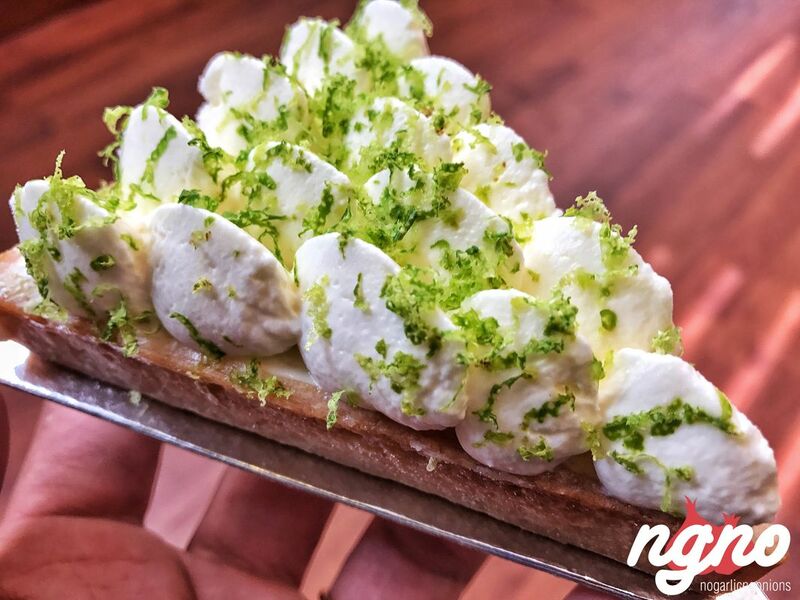 A new patisserie has opened in Achrafieh. It's called Emotions and is well worth a visit.